Direct wired with four candelabra sockets, 60 watts max. per arm. Black textured arms. This mirror light is UL approved and has a 5 year guarantee. 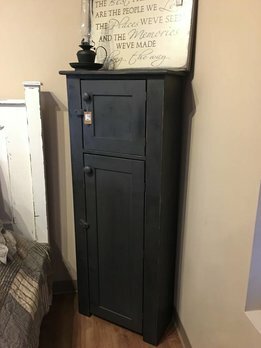 Perfect for farmhouse style, the Two Door Gray Farmhouse Cabinet, is a great addition in your cozy bathroom, a bedroom or a hallway. 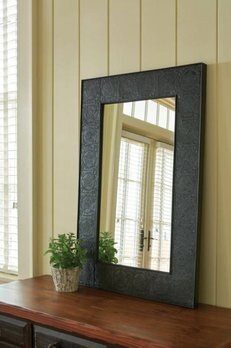 Made of solid wood this piece has lots of great storage.